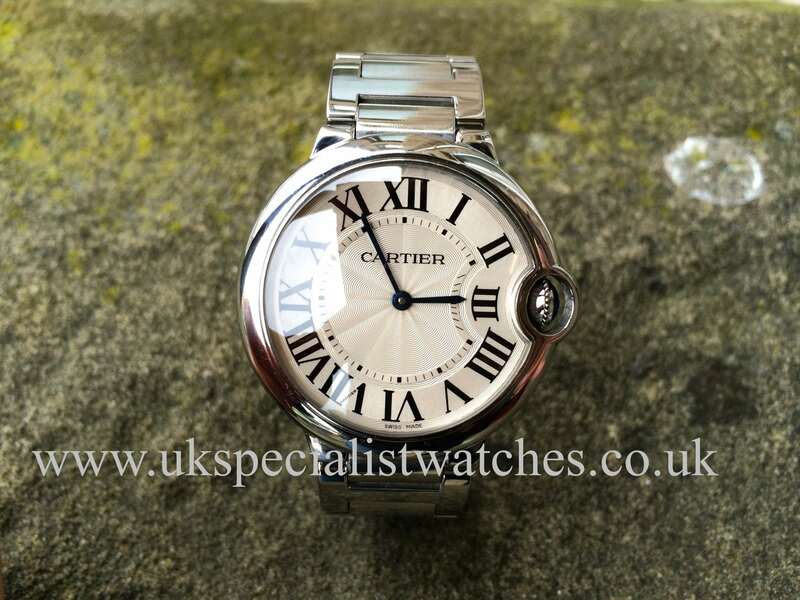 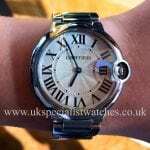 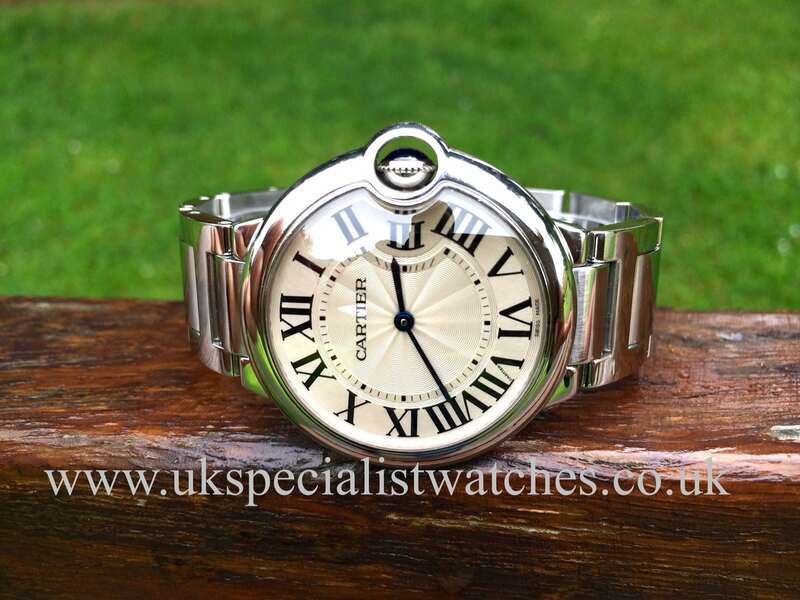 This beautiful Ballon Bleu unisex model by Cartier with the slightly larger 36mm steel case and the stunning blue sapphire safely nestled in its side, the Ballon Bleu adds elegance to male and female wrists alike. 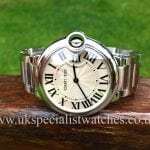 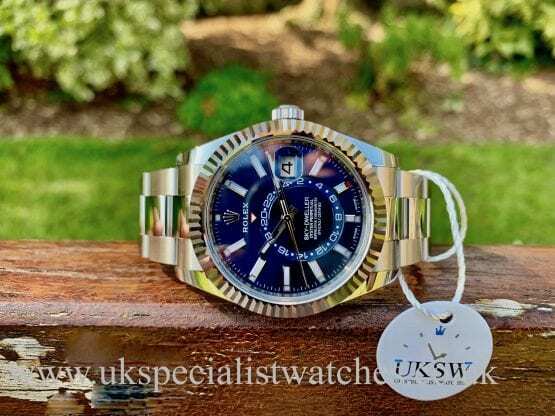 With a Silver white guilloché dial & Roman numerals, blue sword-shaped hands, also make it a highly legible watch, fitted to a polished & satin bracelet. 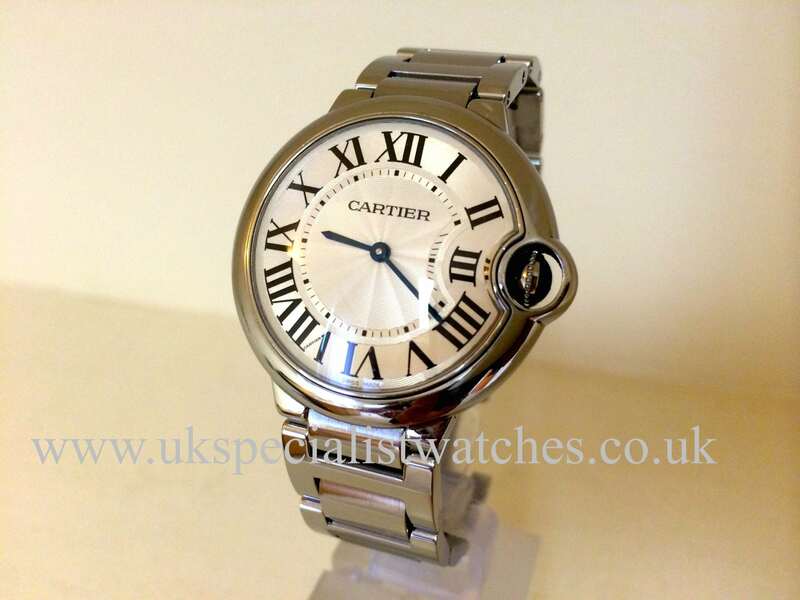 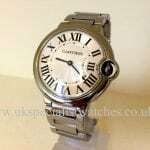 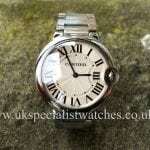 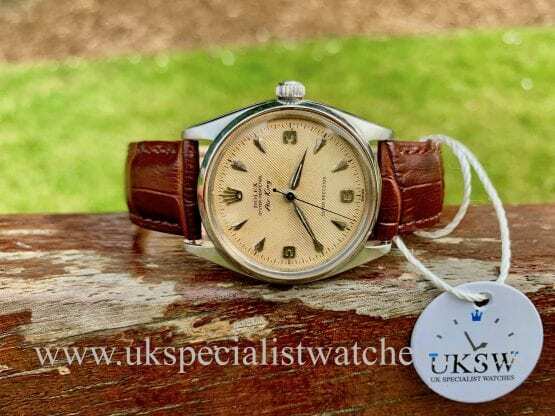 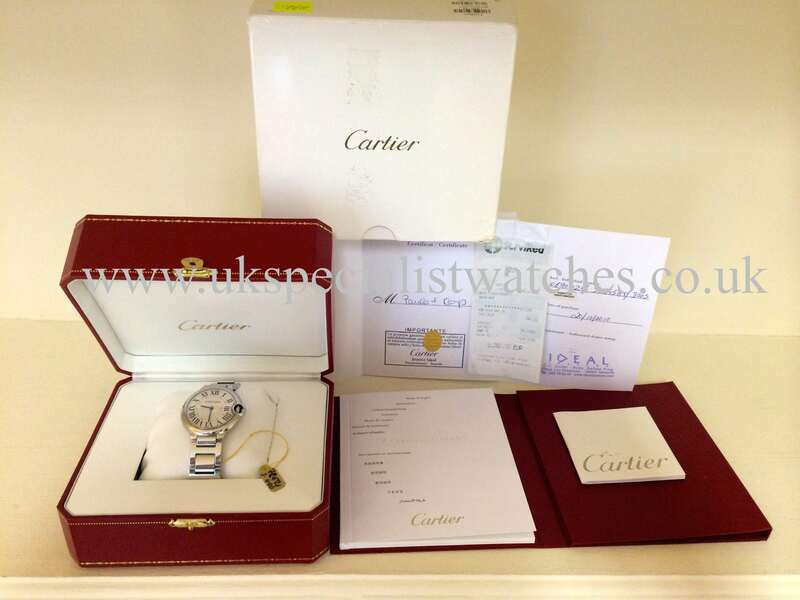 Supplied new 20/10/2010 and comes complete with all boxes and papers including original receipt .